Ronald believes that lawyering is about serving people to bring about justice, peace and joy. 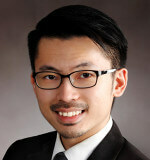 He commenced his legal career at one of the Big Four law firms, Rajah & Tann Singapore LLP. His practice is in commercial litigation & arbitration, advising and representing institutional and individual clients in a broad range of disputes from multi-million dollar investment claims to employment disputes. He also enjoys a corporate business advisory practice on various areas including technology law, employment law, startups, investments & financing, regulatory advice, financial services, corporate transactions and acquisitions, and ICOs and blockchain. Ronald volunteers pro bono with HealthServe, various legal clinics, LAB and CLAS, advocates for social justice in various platforms, and frequently authors academic and thought papers, some of which have been published in various journals. He was featured in the Asia Business Law Journal 2018, A-List Singapore’s Top 100 Lawyers, and has been awarded the Singapore Academy of Law (SAL) Overseas Attachment Scholarship to be attached to Queens Counsels and barristers in Fountain Court Chambers. Advised and successfully acted for an investment fund manager and a large global bank in a claim against a foreign guarantor for sums in excess of US$50 million due under a cross-border syndicated loan agreement. The claim involved the determination of novel conflicts of laws issues regarding the law governing capacity to contract, and a stay of proceedings on grounds of forum non conveniens. Advised a foreign investor on suspected money laundering activities in relation to, and suspected misappropriation of, a multi-million dollar investment in a fund. Advised investor on potential breaches of regulatory obligations and duties by the Singapore-licensed fund manager imposed by statute and regulations issued by the Monetary Authority of Singapore. Advised a large global bank on a potential dispute with a South-East Asian bank and a trading company relating to purported non-compliant presentation of documents in respect of a letter of credit. Advised and acted for a global company in the offshore oil and gas industry in a multi-million dollar claim regarding a multi-million dollar dispute in relation to an Engineering, Procurement, Installation and Construction (“EPIC”) contract. Advised high net worth foreign private clients on complex trust structures, wealth management and novel personal property issues. Advised and acted for a shareholder director in an appeal to the Court of Appeal relating to the grant of leave to commence a statutory derivative action involving purported breaches of directors’ duties, tort of passing off, violation of intellectual property rights, and usurpation of corporate opportunities. Advised an international financial institution on employment issues involving termination, bonuses and drafting of relevant documents. Ronald is a dedicated lawyer who has represented a wide range of clients in commercial disputes, in both litigation and arbitration. To his clients, which include individuals and companies, he is a sincere lawyer who listens well before giving sound advice for an affordable budget. Contact me to explore the most appropriate fee arrangement for your matter and needs.